Oldham’s new £15m leisure centre is now fully open. The brand new centre in Middleton Road replaces the old leisure centre on Lord Street and has a range of facilities including a 25-metre, eight-lane competition pool with spectator gallery, a separate learning pool, an eight-court sports hall, an 80-station fitness studio and four-rink indoor bowls hall. It also boasts a wet changing village, a sauna and steam room, a spinning studio, a cafeteria and a large car park. 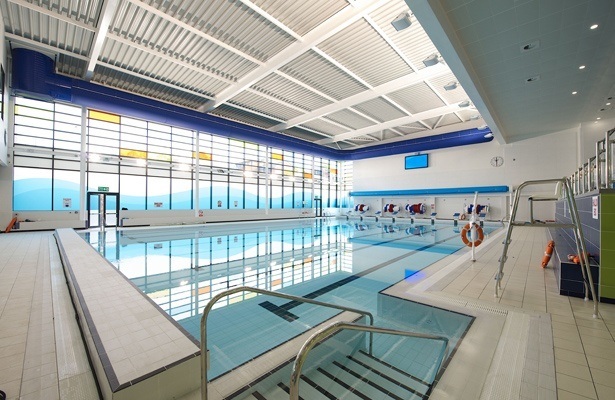 FT Leisure was responsible for the water treatment and filtration work for the two pools and worked alongside the main contractor, Willmott Dixon, GT Architects and structural engineers, Ramboll. All work is to specifications aimed at attracting some major county competitions to the venue. It also acts as a physical bridge, linking Oldham College to Oldham Sixth Form College.